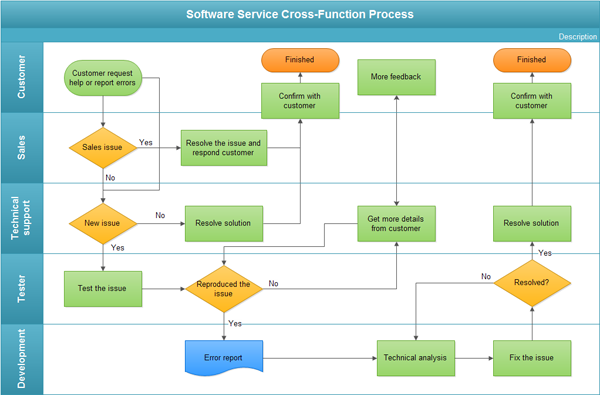 An example swimlane flowchart, showing the software service cross-function process flowcharts among the different departments. The example presents a simple flowchart among the customer, sales, technical support, tester and development. Trying to find an easy-to-use flowchart software? Get a free trial of Edraw today and gain all the standard flowchart symbols. Design a flowchart has never been so easy. Choose one of the buttons below to download the program.